The 2016 Dr. Elsey’s CFA International Cat Show was held November 19-20, 2016 in Novi, Michigan. 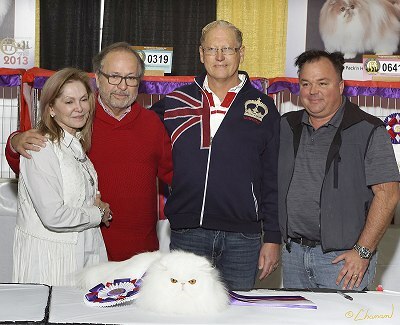 More than 500 cats competed over the weekend representing 40 pedigreed breeds, as well as Household Pets. The format included two separate shows (Red and Purple) running concurrently on the weekend. A cat could only compete in one of the shows. Based on total points earned, the top cats in Championship, Premiership and Kitten from each show were then judged by CFA All Breed Judges Kathy Black of Duncan, OK; Wain Harding of Ukiah, CA; and Yaeko Takano of Tokyo, Japan. 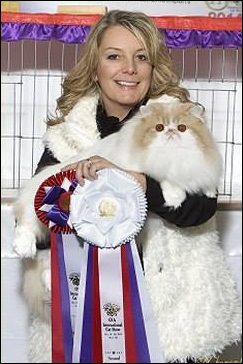 They selected their first and second runners up, along with the Best Cat in Show. The excitement of the two day event came to a colorful end on Sunday, with the selection of Best-of-the-Best in Show Winner. 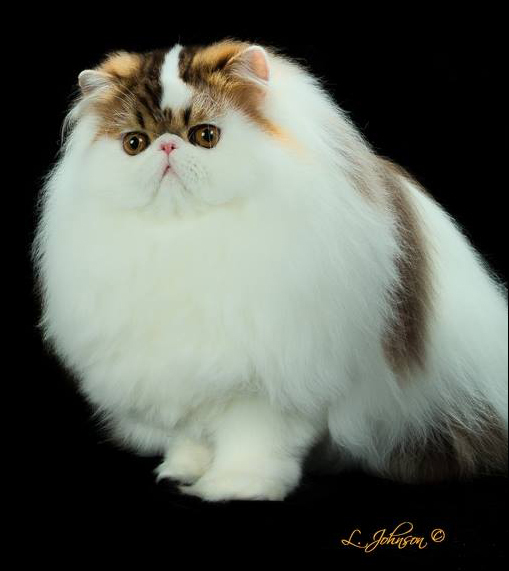 GP, NW Cinema’s Liberace of Calcat, a 2 ½ year old Copper-Eyed White Persian Neuter, was named Best in Show.